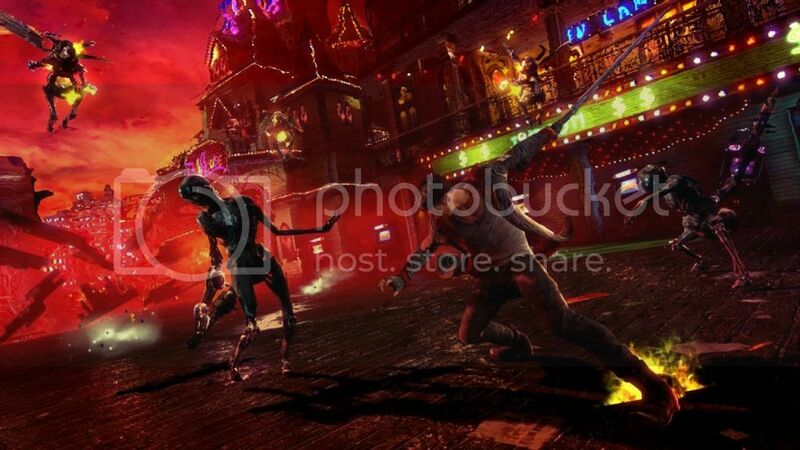 When DmC Devil May Cry was first revealed it was met by near-universal cries of “What have you done to Dante? !” and rather than focus on whether Ninja Theory would be able to put a spin on the original game’s storyline and keep the fast paced hack and slash gameplay that fans have always loved intact, Dante’s face remained the main talking point. Were fans right to nitpick the design of the main character instead of worrying about the game? Time to find out. For those familiar with the setup to the very first game, the basic premise is the same here but with a modernised twist. Mundus, an evil demon lord, is still the game’s villain except this time he has possessed the body of a human and is controlling the world through debt, drugs and biased news networks. Sparda, Mundus’ trusted general, betrays him and becomes involved with an angel, spurring Mundus to murder them both. Skip ahead a few years and Dante, the offspring of Sparda and his lover, is forced to take on the demon king after his whereabouts are discovered. It is in fact the modern twist that most people may have the most difficulty getting over, rather than Dante’s appearance or personality. His attitude remains more or less in keeping with the Dante of a similar age in DMC3 (cocky, slightly arrogant, badass but also with a sense of compassion for humanity) and Ninja Theory is to be saluted for a direct mocking of knee-jerk reactions from fans regarding that. The modernising of a world secretly controlled by demons may be a case of love it or hate it, and personally we loved it. Above all it felt refreshing and new. Dante is often drawn into Limbo which is the hidden, demon version of the real world – so those worried about dull or plain colours and environments shouldn’t be concerned. Two good examples would be Dante’s twisted trip in Limbo through a colourful demonic nightclub, and a building filled with the tortured souls of bankers. Gameplay is perhaps the most important thing in a game like this. 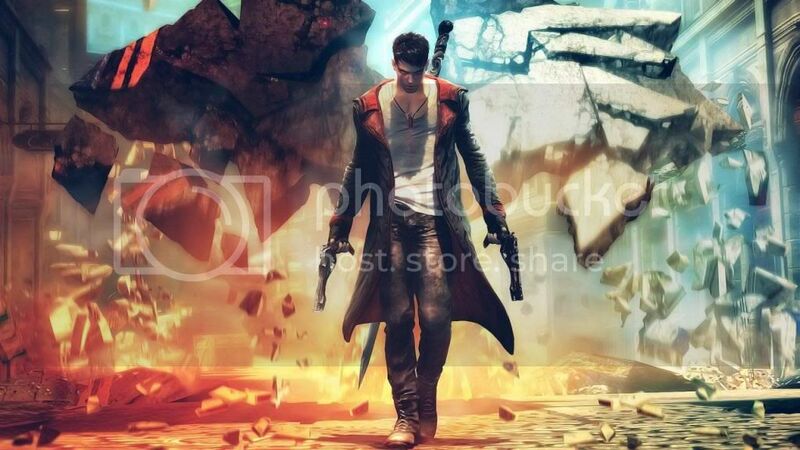 Despite the modern twist to the plot and pacing, we were actually surprised at how faithful the combat remained to the previous DMC games. We don’t just mean bringing back old techniques (though there is that), but also just how fast, fun, frantic and flowing the combat is. As previous players of the other DMC games we felt right at home. Like former games you are rewarded for mixing the various weapons that Dante gets with more Style Points, and it pays to work out some good combinations when you are faced with some of the harder enemies rather than stick with one thing. 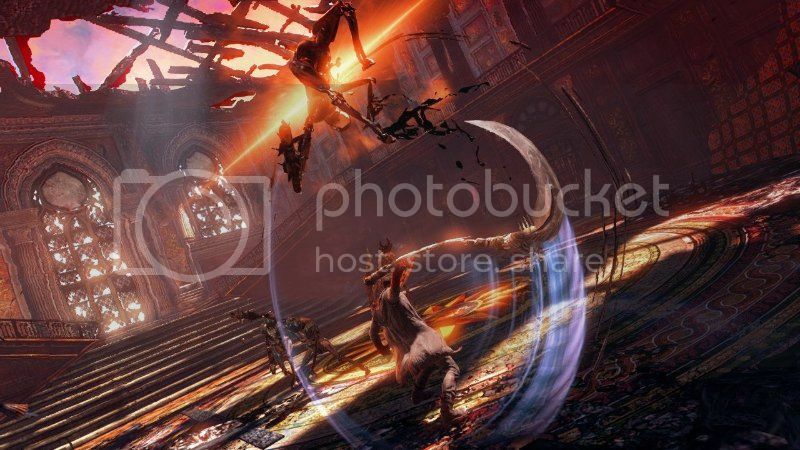 A running theme in the game is demons and angels and this is reflected in combat too – some of Dante’s weapons are considered to be angelic, and some demonic. There are enemies that can only be hurt or stunned by one particular type, which forces you to switch your tactics – especially when faced by a couple of different types at the same time. 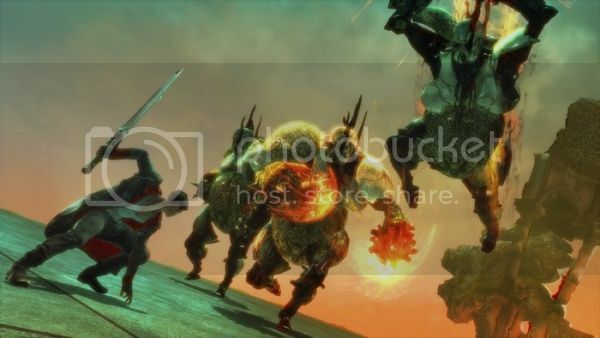 Another example is an enemy that spreads demonic fire around the floor but, if you’re equipped with a demonic weapon, Dante will take no damage from it. The game also tends to introduce a new enemy type a little bit before you’ll get a weapon that has some advantage over them, which is an interesting way to spike the difficulty curve and improve your ability to adapt in combat. Even later on in the game it starts giving hints on advanced techniques to take out the tougher enemies, which will help prepare the player for higher difficulties. If we were to point out some small negatives it would be that the story is fairly predictable (particularly if you’ve watched the trailer for the Vergil pre-order DLC) and that it is far too easy to get up to an ‘S Rank’ (though SSS is the highest possible), both in battle and at the end of mission ranking. It can be argued that players with previous DMC experience may also find the game lacking in challenge without bumping up the difficulty to max; totally new players should find adequate challenge though. If you aren’t interested in unlocking and taking on higher difficulties there is not much to hold your attention after the initial playthrough either, unless you desperately want to unlock skins and collectables (artwork and so on). The game has 20 missions and on the standard difficulty, it took us almost bang on ten hours to get through them all. There are two higher difficulties available above that from the get go with three or four more unlockable beyond that (including the return of Heaven and Hell mode, and Hell and Hell mode). DmC Devil May Cry is a surprisingly faithful retelling of the DMC storyline and, despite what naysayers on the internet may think, is both fun to play and respectful to the heritage it is based on. We felt right at home here as previous DMC players, but it’s also accessible enough that it will interest a new generation of people in the franchise. Well worth playing whether you’re familiar with the series or just a general hack n slash fan.